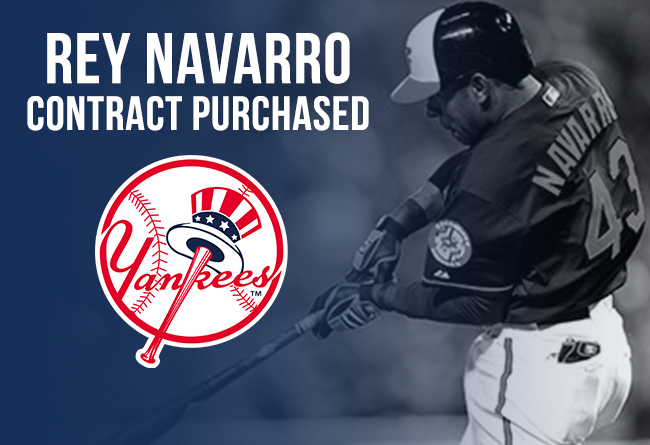 (Sugar Land, Tex., May 12, 2018) — The Skeeters announced today that the New York Yankees have purchased the contract of infielder Rey Navarro. The Yankees have yet to announce what level Navarro will report to. Individual tickets are available now at SugarLandSkeeters.com, our mobile app, and at the TDECU Ticket Office at Constellation Field. For more information, call 281-240-4487.Visit SugarLandSkeeters.com and follow us on Facebook, Instagram and Twitter (@SL_Skeeters) for all the latest news on the team.